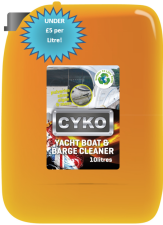 CYKO™ Yacht, Boat & Barge Cleaner gets to work instantly. In mere minutes your vessel will shine like it never left the showroom. Working deep down at a molecular level, breaking up grime and algae with unparalleled ease. CYKO™ Yacht, Boat & Barge Cleaner works equally well on all water borne crafts including inflatables. 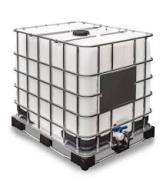 Is safe to use on EVERY part, from chrome to rubber, aluminium to plastics, windows to rails, top to toe! 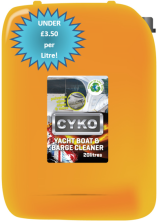 CYKO™ Yacht, Boat & Barge Cleaner is tough on grime and the causes of grime, yet gentle on the environment & completely biodegradable. CYKO™ products are not tested on animals because frankly that would be cruel, and CYKO™ is anything but cruel. Besides whoever heard of a shiny rabbit? 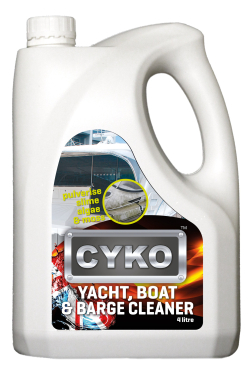 For best results, pre-wet your boat, apply CYKO™ Yacht, Boat & Barge Cleaner liberally and leave for 3 - 4 minutes. Tickle any particularly awkward grime with your favourite brush or sponge & then rinse off with fresh, clean water. Job done!